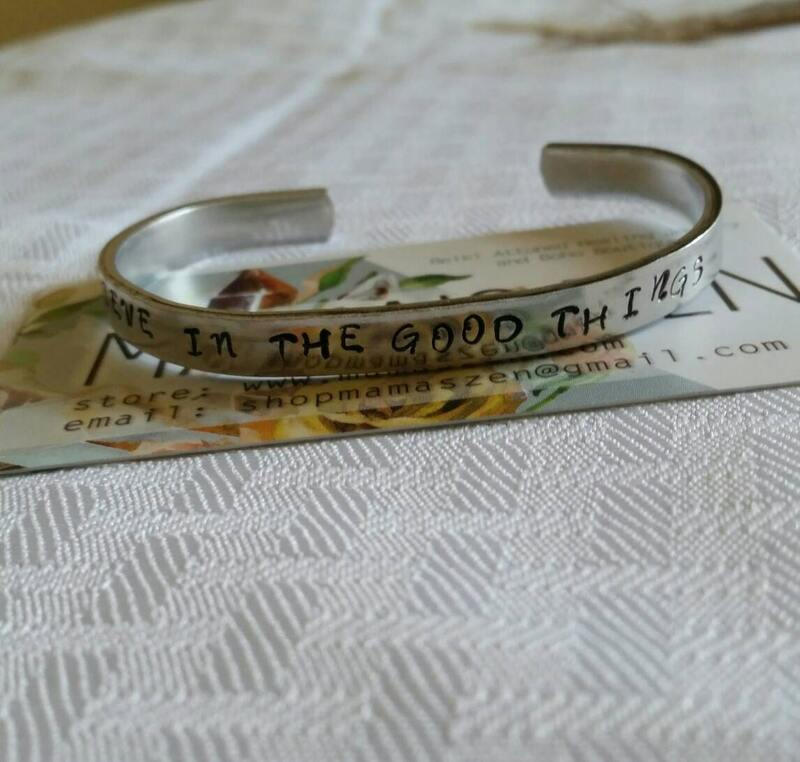 Hand stamped, high quality alloy adjustable band. 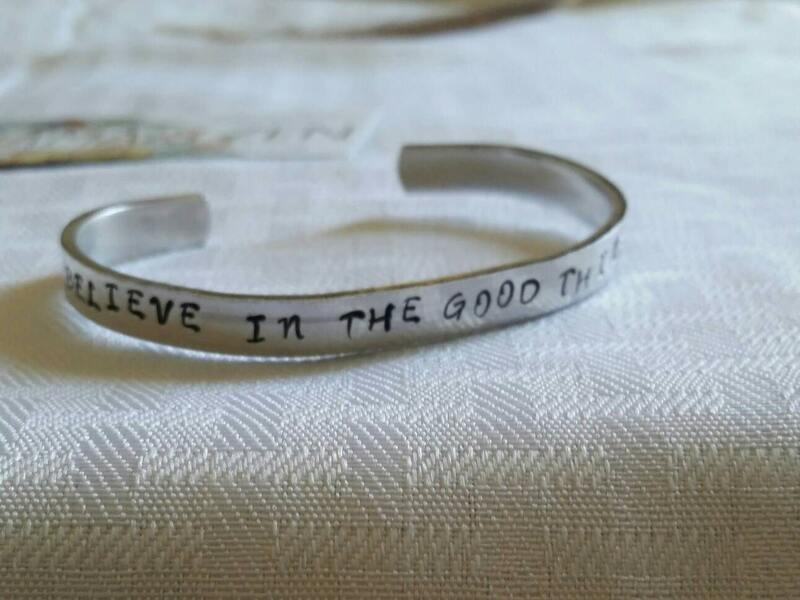 From one of my favorite songs by Nahko this bracelet is hand stamped saying "I believe in the good things coming"
Have something you want stamped I can custom make you one! Exactly what I wanted!!! 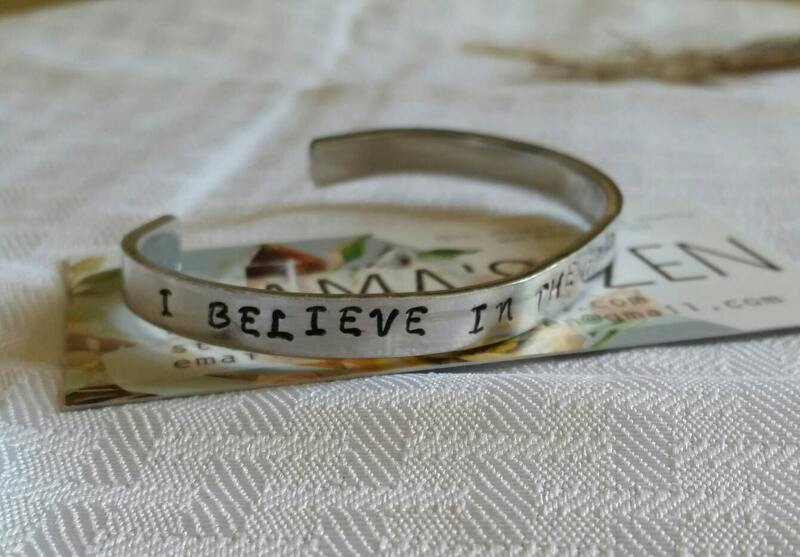 The person I bought this bracelet for is going to be thrilled! Shipping was super fast too! I will likely be shopping here again. Exactly how described. My girlfriend loved it! I love my bracelet! It bends easily to fit my wrist without becoming misshapen, and the letters are stamped deeply enough that they won’t wear away. I’ve gotten so many compliments already! 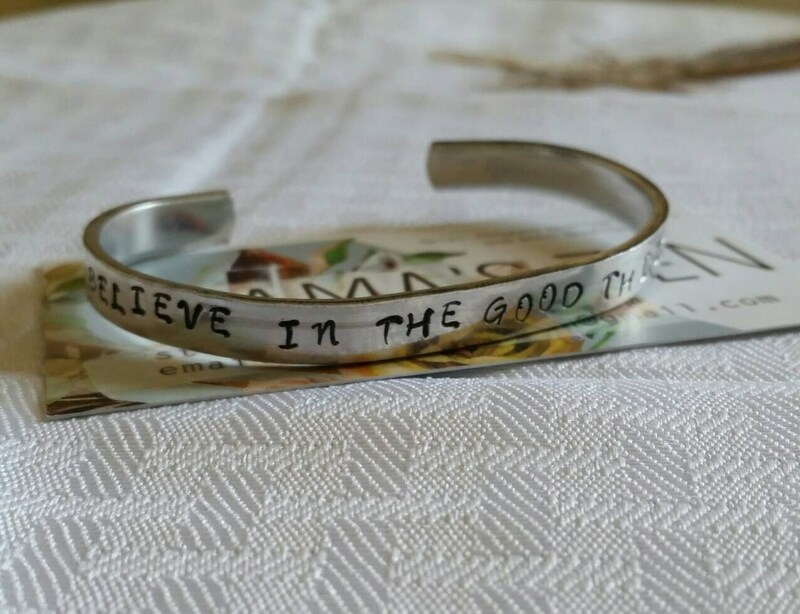 I am a huge Nahko fan and the message on this bracelet is superb! It was a bit disappointing, however, in that it was very low quality metal and the words were colored black using what appeared to be ink from a ballpoint pen. All of the black in the lettering was gone after about 2 days.